Patricia A. Eberharter, FNP-BC. MSN. CLNC. CCM. 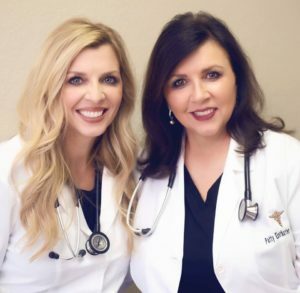 Patty is certified as a Family Nurse Practitioner by the American Nurses Credentialing Center and a Fellow of the American Academy of Nurse Practitioners. 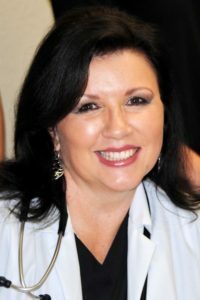 She has an outstanding academic background that includes a Master of Science Degree in Nursing with a concentration in Family Nurse Practitioner from Lincoln Memorial University in Harrogate, Tennessee. She also holds national certifications as a Certified Legal Nurse Consultant, Certified Case Manager and Certified Bladder Health Specialist. She is a member of the American Academy of Anti-Aging medicine and is currently working on a fellowship in ageless medicine. Patty began her career in healthcare by working in a small rural community hospital in Lafollette, Tennessee as a candy striper when she was 13 years old. She continued in the healthcare field as a nursing assistant before returning to college to become a nurse. She worked 23 years as a Registered Nurse and has extensive clinical experience in the areas of critical care, emergency medicine and catastrophic case management. Throughout her career in nursing, especially in her role as a nurse practitioner, Patty has witnessed thousands of patients suffering needlessly from diseases that could have been prevented. Patients either did not know how to prevent the disease or they wouldn’t commit to changing their lifestyle. If patients are going to change their lifestyles, only knowledge will give them the power to do so. Patty focuses on guiding and assisting patients to develop an attitude of self care. Through her practice she hopes to empower others to take charge of their own wellness. Sandy is a Lafollette native who is grateful for the opportunity to return to her hometown to practice family medicine. A graduate of Campbell County High School, she received her undergraduate degree in psychology from the University of Tennessee and her Bachelors in Nursing from Tennessee Wesleyan University. She then completed a Masters in Nursing at Lincoln Memorial University and certified as a family nurse practitioner. Sandy enjoys the variety of what comes with family medicine and has a particular interest in women’s health, sports medicine, diabetes, and teaching others how to achieve healthier lifestyle modifications. She is additionally certified in various contraception alternatives including Mirena, Kyleena & Skyla intrauterine devices as well as the Nexplanon implant. She also trained in and holds a certification in joint injections. 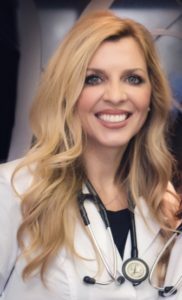 Her previous experience include 17 years in aesthetics, counseling and nurse intern at Peninsula psychiatric hospital, nursing at Fort Sanders and an internship in Cardiology with Knoxville Heart Group. She was President of her class, Breakthrough-to-Nursing state officer for TASN and a national delegate for nursing students in Tennessee, Arizona, and Florida. She graduated with Honors including Sigma Theta Tau and Alpha Chi and was awarded the Ideal Fort Sanders Nurse and Cynthia Hartman Award as well as the Tennessee Nurses Award in 2016. She is passionate about the underserved population who lack access to healthcare and serves the Appalachian community through Wallace Memorial Mobile Clinic and Remote Area Medical. Sandy is a wife and mother of three children. When not busy seeing patients, she enjoys: volunteering, traveling, working out, makeup artistry and baseball games with her kids. Dr.William Kevin Bailey, M.D. is a Knoxville native who graduated from Central High School in 1978. He graduated from the University of Tennessee in 1982 and after completing medical school in Memphis and Pennsylvania, relocated to the Knoxville area in 1990. 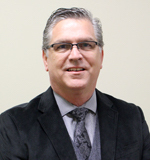 He practiced in a local orthopedic group for 7 years and was the Director of the Baptist Hospital Rehabilitation Unit for one year before opening his private practice in Fountain City. Dr. Bailey is a Board Certified Physiatrist, which means that he is a physician specializing in physical medicine and rehabilitation as well as other health options. Physiatrists do not perform surgery. The realm of his specialty is to focus on restoring patients to their optimum level of functioning. Physiatrists treat acute and chronic pain as well as non-surgical musculoskeletal disorders. Many patients treated include those with arthritis, tendonitis, back pain, neck pain, work and sports related injuries. He is also certified to perform EMG/NCV (Electromyography and Nerve Conduction Velocities), acupuncture, and disability examinations. At Renovation Health and Wellness everyone is treated equally with compassion and respect. Wellness and preventative medicine are highly promoted and all patients are encouraged to take part in restoring balance in their life and to embark on an educational and healing journey to reclaim what’s rightfully theirs; a healthy, productive, purposeful and long lasting life! Copyright (c) 2017 - Renovation Health & Wellness, LLC.